The clients can avail the Round Braided Leather Cords from us that are exclusively designed by us using high quality leather. 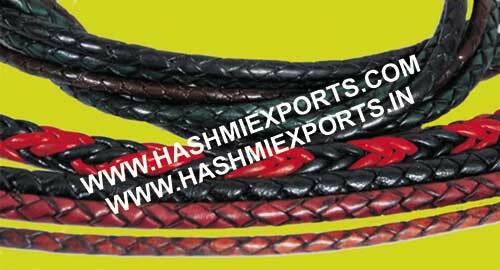 The zigzag as well as knitted pattern of the Round Braided Leather Cords is much liked by the clients. The clients can avail the Round Braided Leather Cords in varied color schemes and sizes to cater to their specific demands. These Round Braided Leather Cords are offered in proper packaging of varied sizes to ensure safe transit and deliveries.